On this day in 1964, as our faithful chronicler Doctor Caligari informs, that among many other events the series Gilligan’s Island has its original release on CBS. 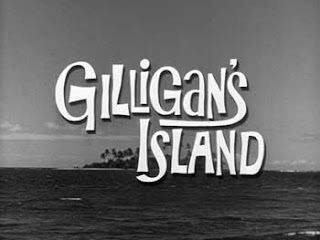 Probably most memorable for its theme song, “The Ballad of Gilligan’s Isle,” written by Sherwood Schwartz and George Wyle, was performed to network executives as the pitch for the show, as was sort standard practise in those days as evinced by many programmes (like the Brady Bunch which also first aired on the same date five years later) with expository openings. The version for the pilot (filmed on the same day as the assassination of John Fitzgerald Kennedy and the whole project was put on hold until the following fall, with “Marooned” unaired until 1992) had a distinctive calypso theme courtesy future film score composer John Williams who also provided other incidental music for the show. The eponymous vessel was not named for the small bait fish but rather for the Federal Communication Commission chairman Newton Norman “Newt” Minow, that producer Schwartz held in contempt and accused of ruining the US television by characterising it as a “vast wasteland.” Reforms that Minow helped engineering resulted in the creation of the Public Broadcasting System and National Public Radio.